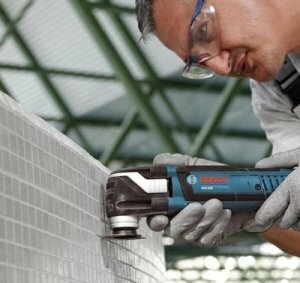 I just received official word from Bosch that their new tool-less accessory change Multi-X oscillating tool is available now in stores. The new tool-less feature is something that we have all been waiting for, but the MX30E has other notable features that make the upgrade that much better. And at $199, the MX30E is still priced to match or beat the Fein MultiMaster. Offering 3.0-amps of the power, the MX30E has the highest rating in its class. The MX25E and other oscillating tools out today come in at around 2.5-amps. The oscillations per minute on the MX30E are the same as the previous model at 8,000 – 20,000, and the total degree of oscillation is also the same. So what does more power mean if the tool offers the same speed and oscillation angle as the previous model? It means that the tool will not bog down when you put a heavy load on it. 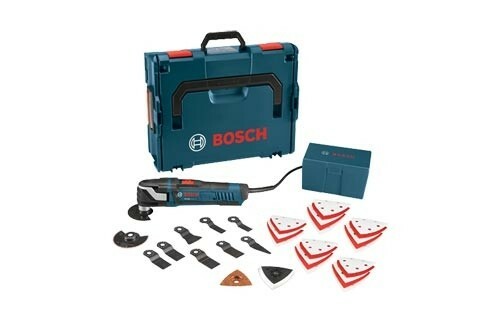 Bosch's Constant Response Circuitry is also there to ensure that the tool maintains constants speeds under load. To cut down on vibration feedback, the tool uses a reinforces gear housing, and the grip uses multiple soft-grip areas that are said to make the tool more comfortable to use. 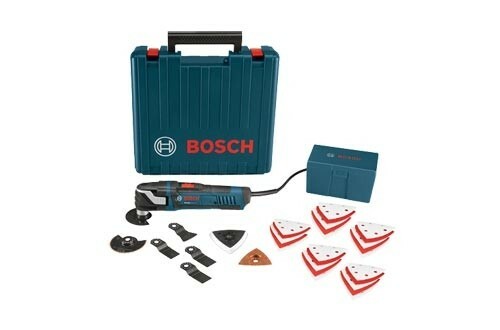 Bosch has three kits available with prices starting at about $199. 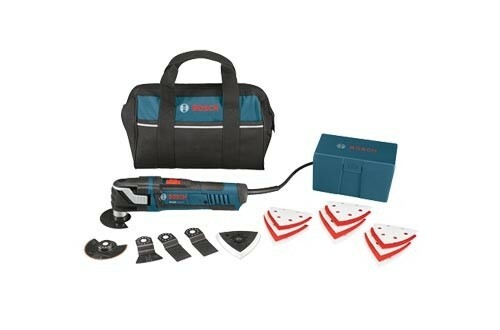 The MX30EC-21($199) comes with 5 cutting and scraping accessories and 16 sanding accessories. The MX30EK-33($249) comes with 7 cutting, scraping and grinding accessories and 26 sanding accessories. The MX30EL-37($299) comes with 11 cutting, scraping and grinding accessories and 26 sanding accessories. Also notice that the small kit comes with a soft case, the middle kit with a hard case, and the large kit with a Sortimo L-Boxx hard case. To see how simple the blade change system is on the MX30E, take a look at this video from our friends over at ToolStop UK. 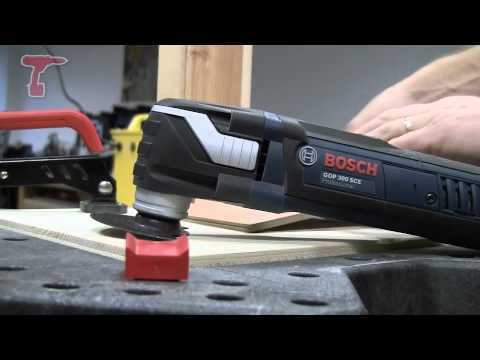 http://www.toolstop.co.uk/bosch-gop300sce-multicutter-in-l-boxx-with-8-accessories-110v-p16726 In this simple how to, we show you how easy it is to cut architrave to fit laminate flooring using the Bosch GOP300 SCE multicutter.